Leave it to Instagram to help me figure out some great places to shop in Istanbul! 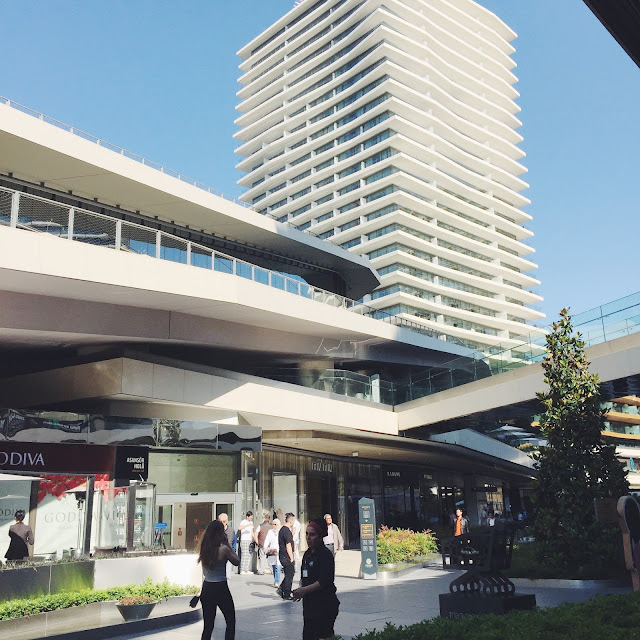 On the top of my list was Zorlu Center which is a two floor shopping center located in the Besiktas neighborhood. 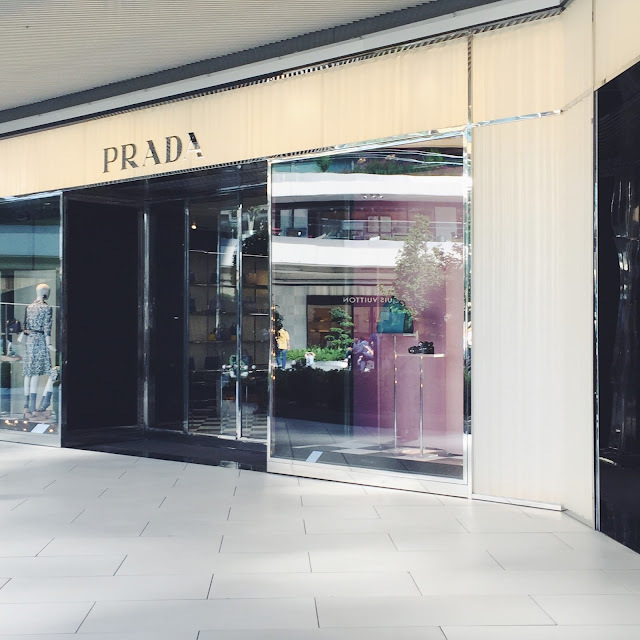 The first floor is outdoors and is filled with luxury shops such as Prada and Miu Miu and the second floor (underground) has chain stores such as Mango, H&M, Victoria's Secret, and... you get the idea. 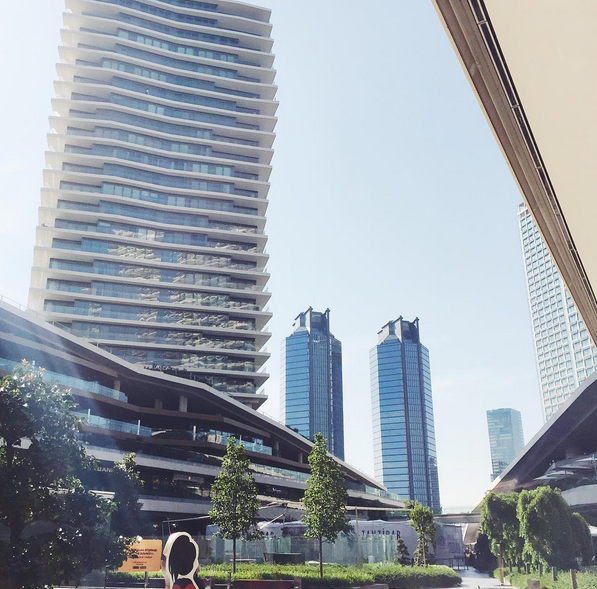 If you feel like making an escape from all the tourism, want to get some fresh air, or just want to see some Turkish celebrities then I highly recommend Zorlu Center! The first thing you'll notice on the top floor is the sleek, modern design and beautiful skyscrapers surrounding the place. 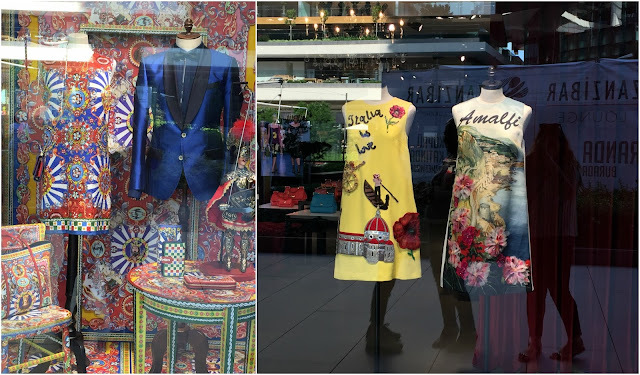 While there are plenty of luxury shops, I was surprised to find shops such as Tory Burch and Michael Kors also on that floor. In Turkey, American brands are actually considered luxury and sold at ridiculously high prices so make sure to skip those brands cause it's just not worth it. Personally, I was on that floor just for some good old window shopping. Check out the beautiful display at Dolce & Gabanna! Next, we head some lunch at Tom's Kitchen which I personally wasn't a big fan of but hey I wasn't paying lol. 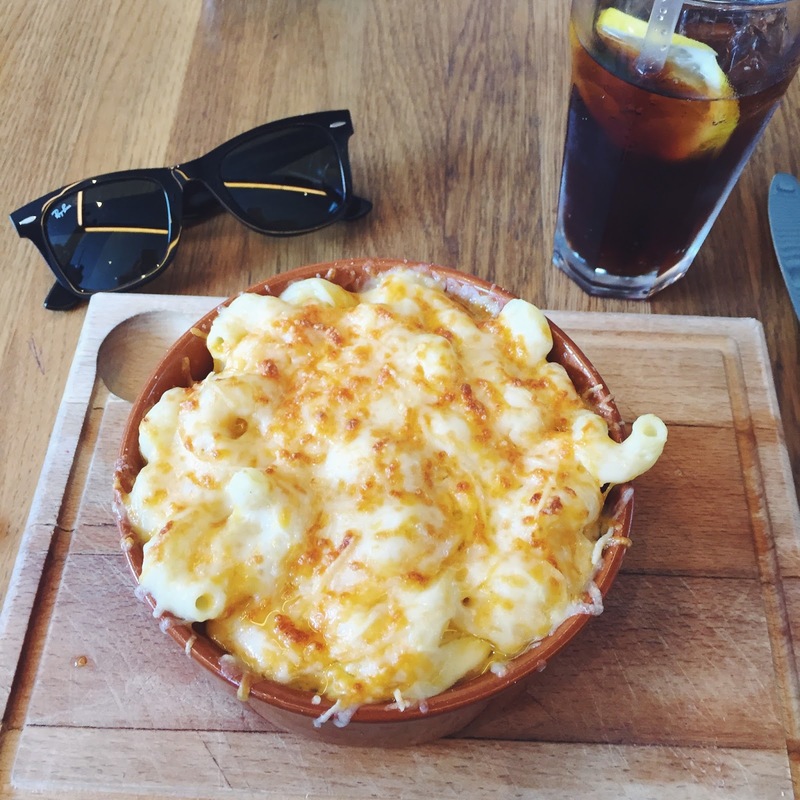 I didn't really like anything on the menu so I played it safe with some mac & cheese (small portions cause it's "high-end", naturally). If you're at Zorlu Center and you're hungry, make sure to go downstairs to the second floor and head to the food court for some cheap food that will actually fill your stomach. 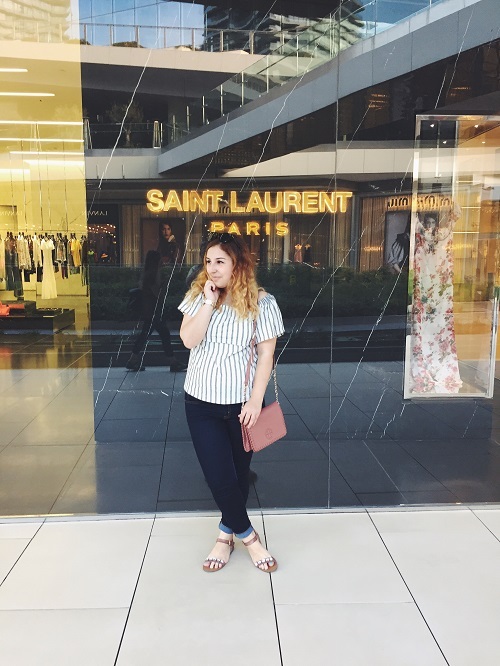 The only thing I liked about this place was that it was outdoors so we can freely people-watch all those Instagram-worthy Dubai fashionistas walking around and of course actually spotted a Turkish actor and a model! Sadly I didn't get any shots on the second floor since my battery was going to die but overall, I liked the place but didn't really love it. The reason for this is because I thought it was a bit weird how they separated the "two classes" of people from each other. 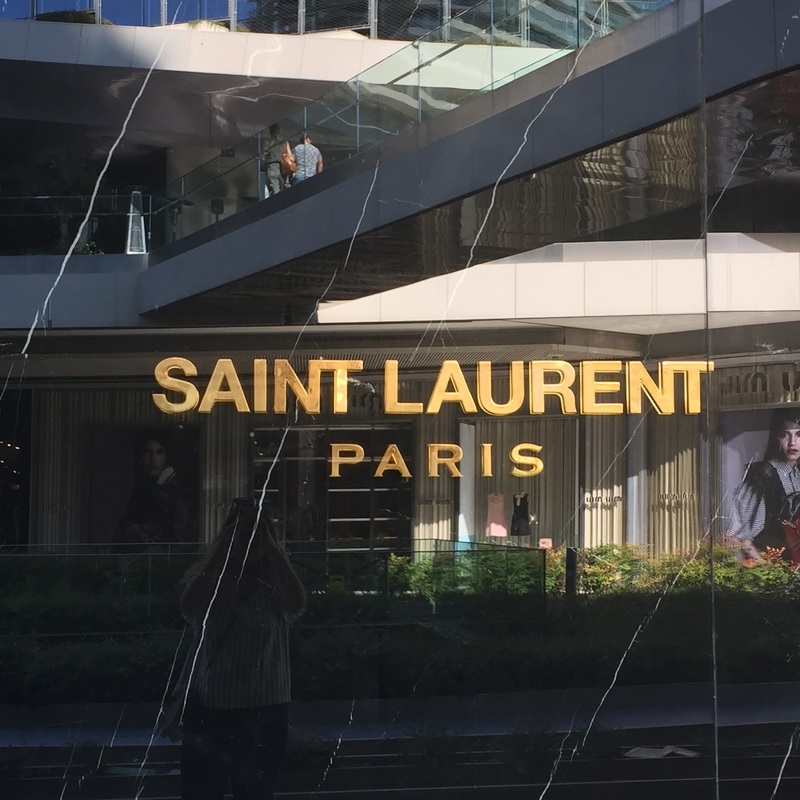 While the rich and famous got to shop outdoors, regular people such as myself had to go to the second floor and it just felt a bit ridiculous. Why not mix the two? I don't know, that's just my honest opinion. Plus I thought they could have more variety as far as luxury restaurants on the top floor. Why not have some chains such as Laudree located up there? Once again I'm being picky haha. Thanks for reading! What's everyone up to this summer? Any exciting travel plans?